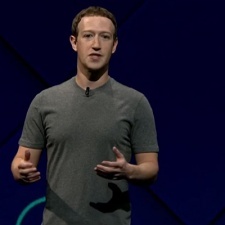 Facebook has been accused of knowingly obscuring metrics relating to video views. Advertisers complained back in 2015 that the social media giant was erroneously inflating viewer figures. Revealed in a lawsuit, which now claims to have access to internal documents from Facebook, are allegations that the social network knowingly hid information on the screw-up for over a year, before reaching out to tell select, large advertisers about the mistake. In that time, Facebook kept to a “no PR” strategy, quietly replacing and renaming statistics. But advertisers had already been fooled into overvaluing the worth of video on the social media platform. Accusers now claim Facebook inflated figures by as much as 900 per cent. Facebook’s official line back in 2016 was that its error only inflated figures up to 80 per cent. Videos with view-time as short as three seconds were pushing numbers up, giving advertisers the impression that Facebook was a thriving video hub. The misleading statistics are also accused of wreaking havoc on online media outlets. Many sites infamously made the decision to pivot to video around 2015 to 2016, laying off writers and scaling back written content. But when video content turned out not to be the goldmine many were told it was, they were forced to also lay off expensive video production staff.